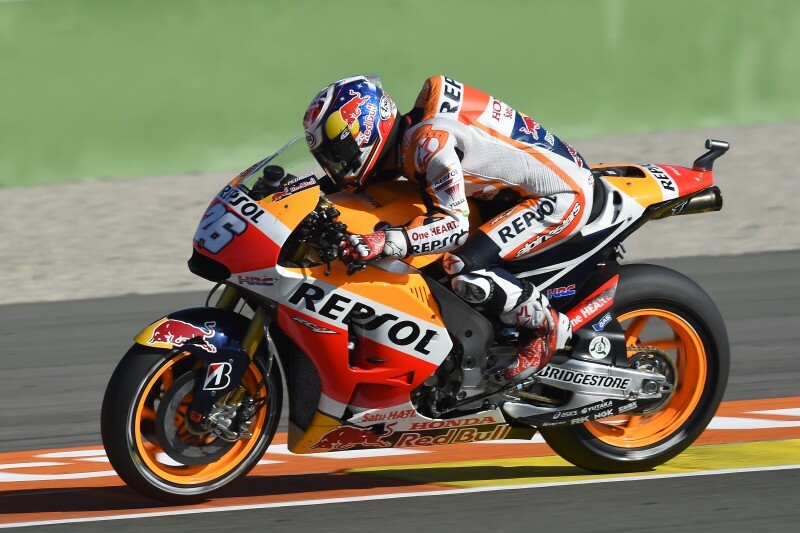 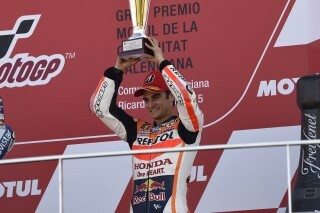 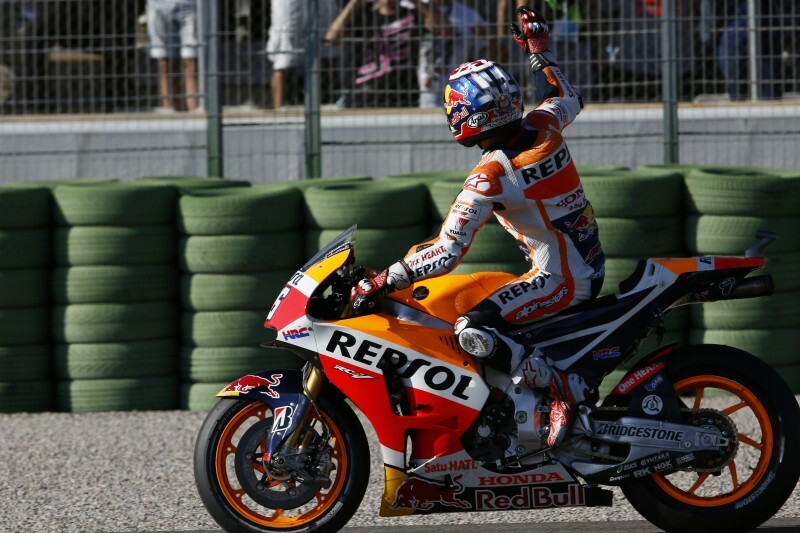 Repsol Honda’s Marc Marquez and Dani Pedrosa have concluded the 2015 season with a second and third place finish in the Valencia GP. 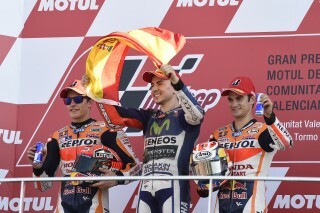 Starting from the front row behind Lorenzo, the three riders broke away opening up a five second gap to Dovizioso after just seven laps. 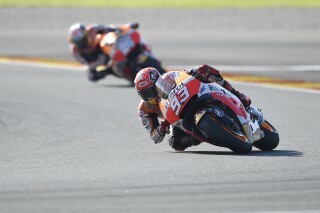 Dani struggled at the beginning and spent the majority of the race adapting to the situation, at one point dropping down two seconds behind Lorenzo and Marc. 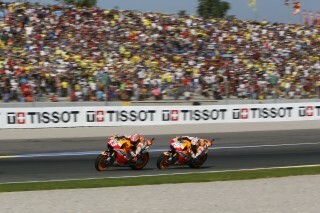 However, with two laps to remaining Dani had closed the gap to 0.2 seconds and attempted a pass on Marc. 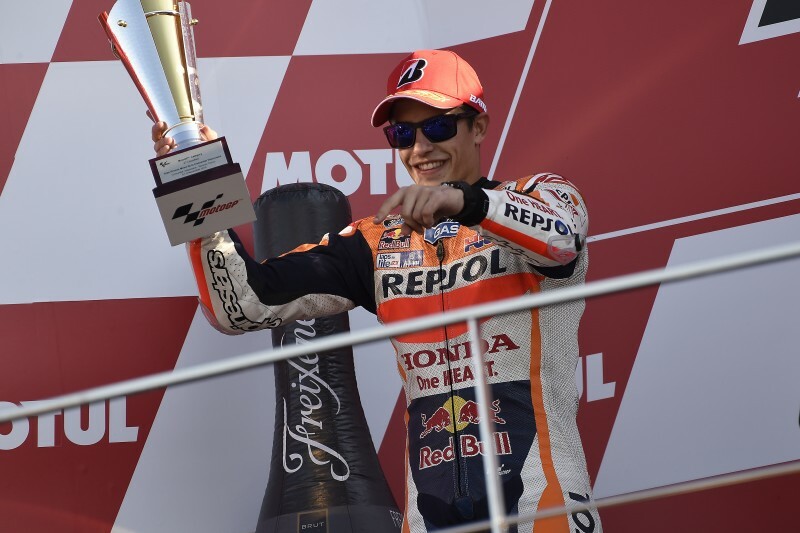 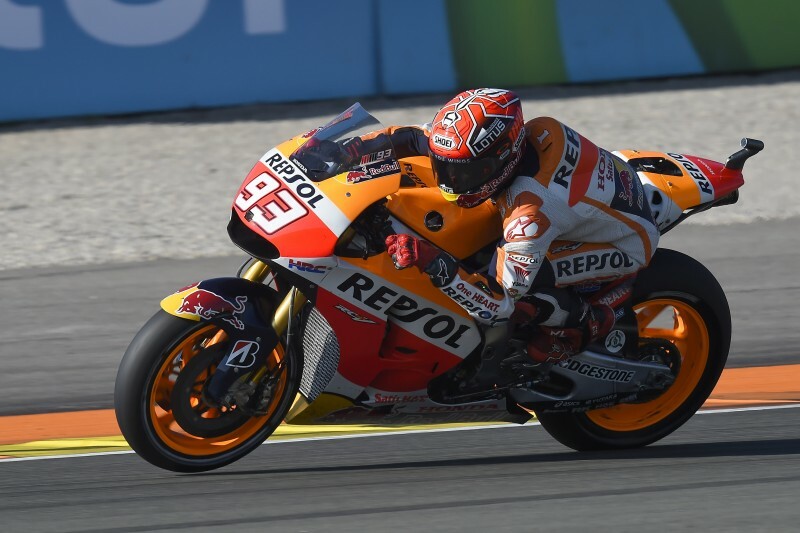 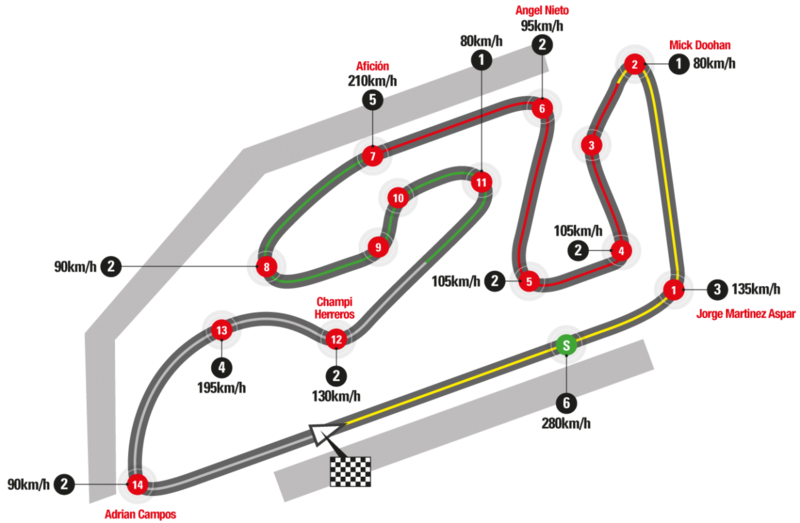 He ran wide and Marc regained the place immediately and the two Honda riders lost contact slightly with race leader Lorenzo, finishing second and third behind the newly crowned 2015 World Champion. Today Dani celebrated his 100th MotoGP class podium, becoming just the second rider – along with Valentino Rossi – to reach this milestone. 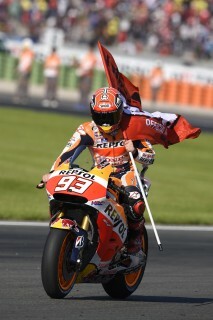 He also sealed fourth place in the World Standings behind his teammate Marc in third. "It was a very difficult race. I came out focused, as usual, and initially Jorge pushed strongly. 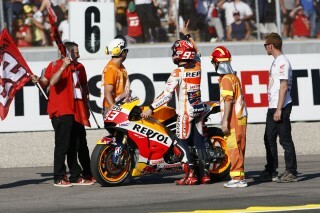 I found it hard to follow him, and at that time Dani was two seconds off us. There were a few laps in which I was really on the limit, forcing the front tyre - which moved around a lot. With about six laps to go, I felt that we could win because I had caught up to Jorge. I did not expect Dani to come through so quickly, and when he passed me he ran wide. I used that to pass him back but Jorge had escaped by half a second making it impossible to recover the gap, even though I rode the last lap and the entire race at 100%." "I'm very happy and I enjoyed the race - especially in the final part! 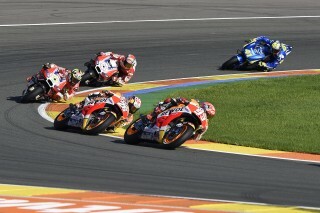 I was a little bit distant from the battle in third. I couldn't find the way to go faster because I had problems when braking and cornering; it's been hard for us to find a good setup for the bike this weekend and I was able to be up at the front but without a good feeling. During the race I tried to counter this, but it was difficult. 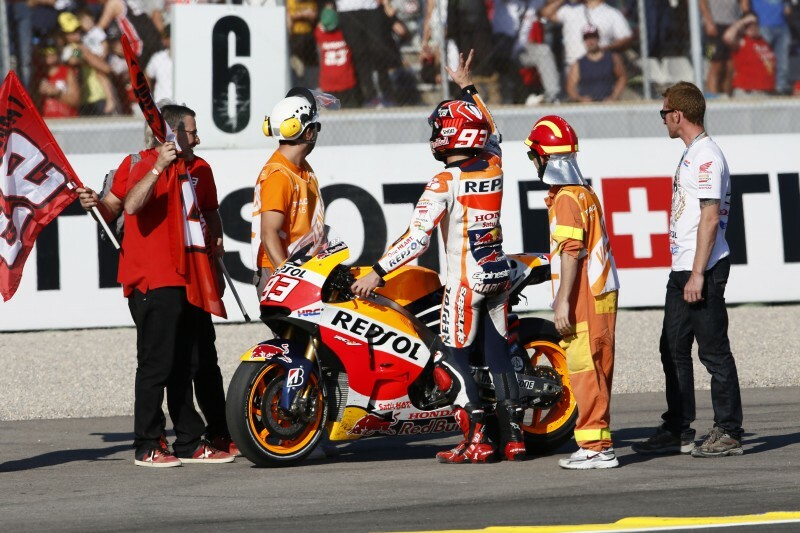 In the end I found the way to be faster and I was able to ride better and recover ground. 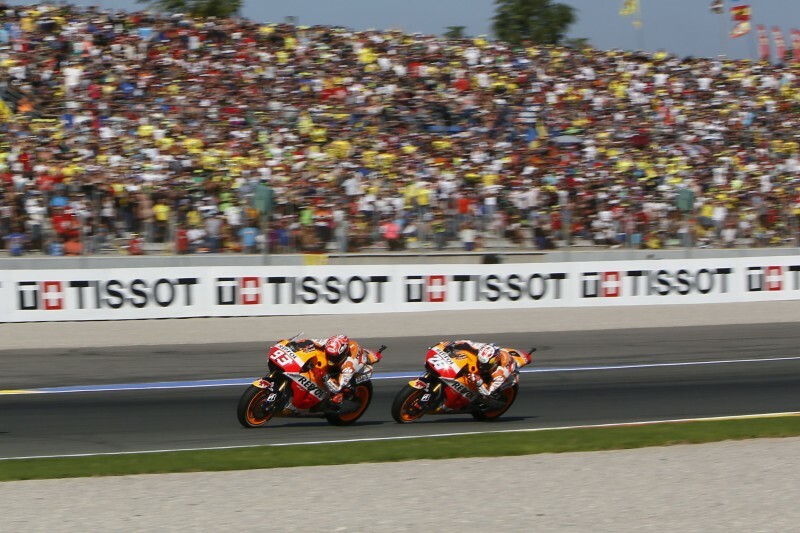 When I caught up I saw that there were two laps remaining and I tried to attack, but when I overtook Marc I ran wide and he returned the pass. 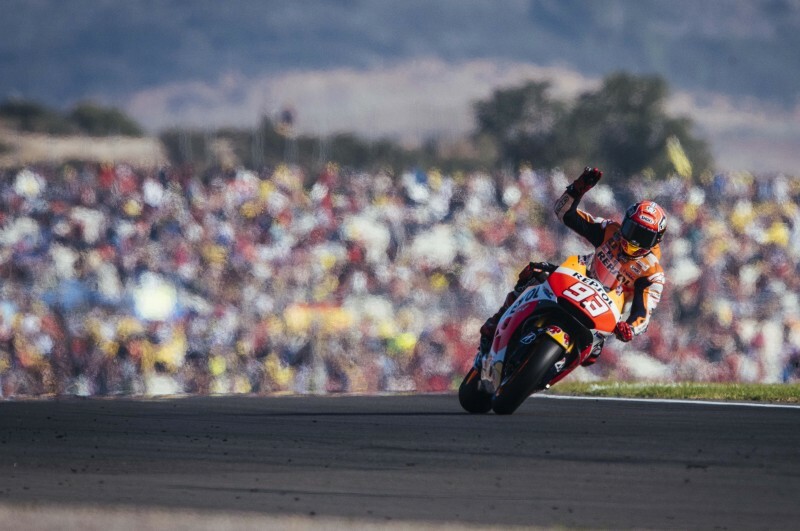 I am happy because what I can take from here - as well as the third place in the race and fourth in the Championship - is the attitude and the progress we have made in the final part of the season. We've been very strong and I hope that we can continue that this winter and next year." 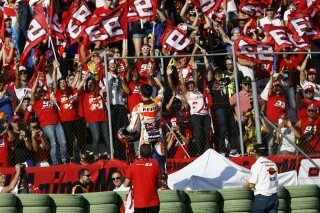 "This is not the atmosphere we wanted to experience at the end of an unforgettable championship. 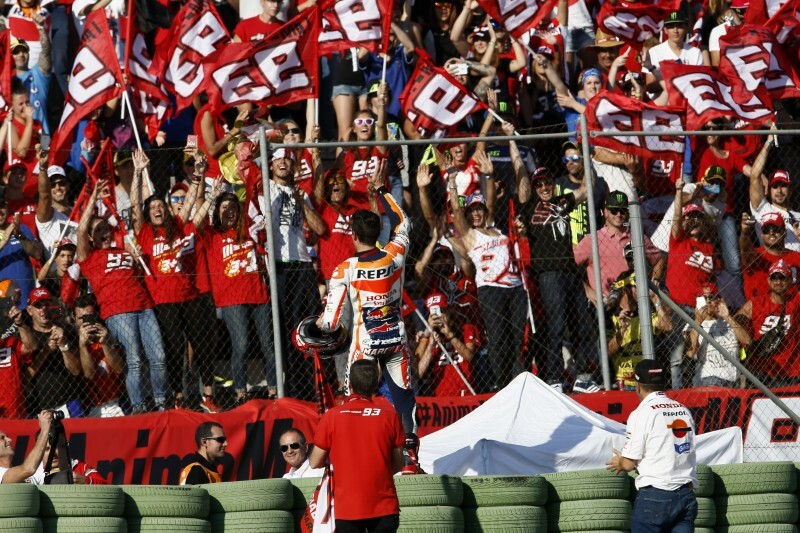 We understand that it’s been a very difficult day for Valentino, after leading the championship for 17 races and losing by just five points in the final race must be very disappointing. 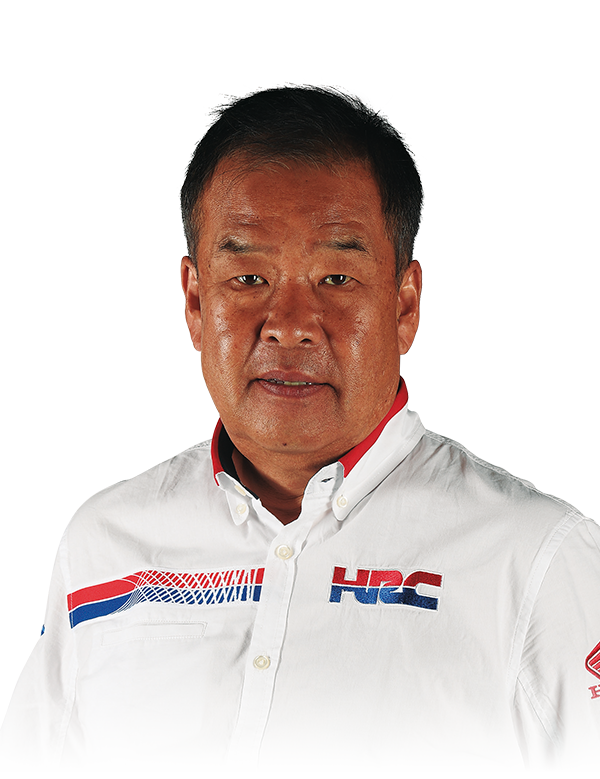 However, on the other side we cannot accept the strong accusations he has directed against our rider and Honda in the past weeks and in today's post race press conference. 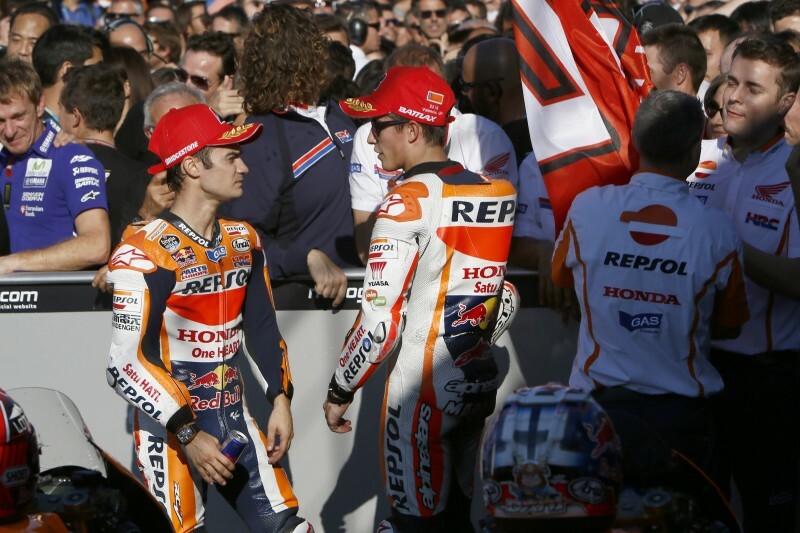 Together with the allegation he made after Phillip Island, there is no evidence to support these accusations, only the fact that Marc took five points away from Valentino’s competitor in the championship, Jorge. 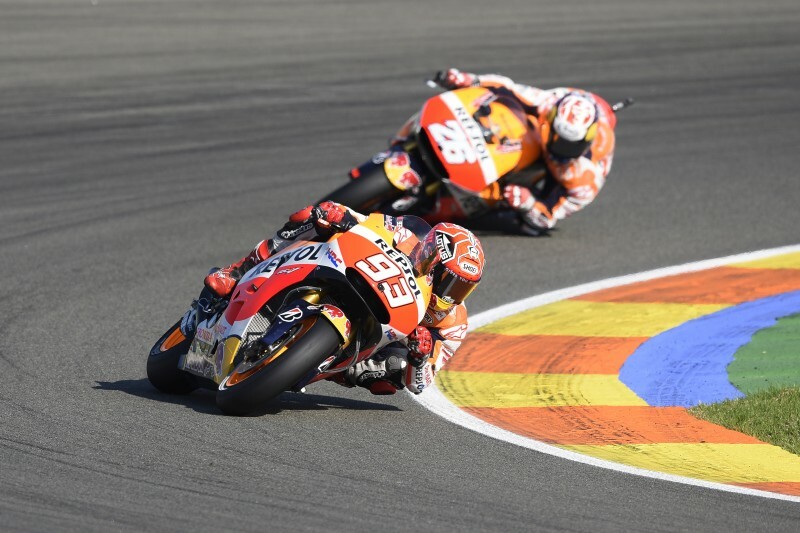 Today Valentino has alleged that Marc never attempted to pass Jorge, who has clearly had a very good pace all weekend which he demonstrated by taking a strong pole position in qualifying. 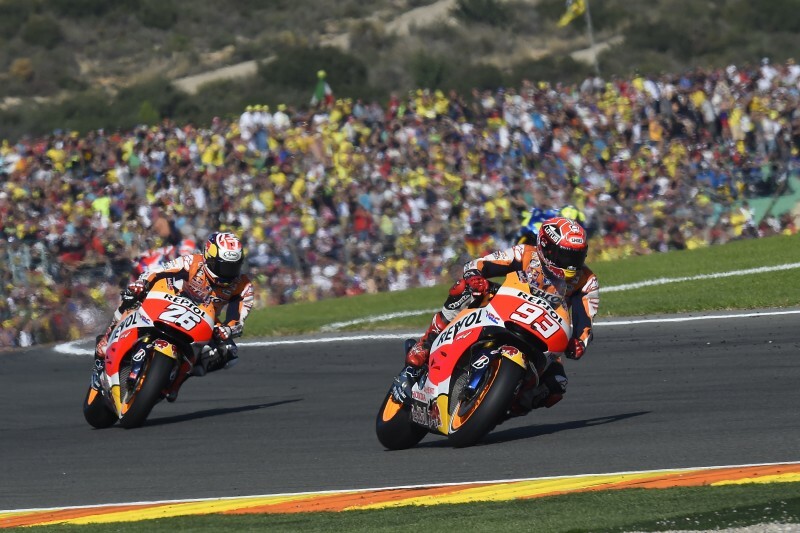 Marc was struggling to stay behind him during the race and both him and Dani have done a great job to not lose too much distance to Jorge. 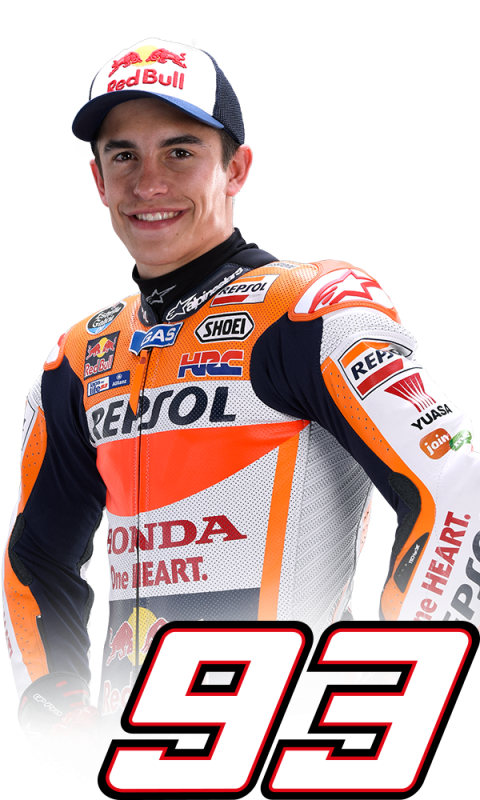 Marc’s plan was to attack in the last lap, as we have seen many times in the past if the opportunity presents itself, he will try. 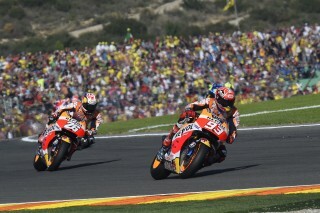 Dani’s pace increased at the end of the race and he overtook Marc but ran wide and Marc was able to immediately pass him back, but this is racing. 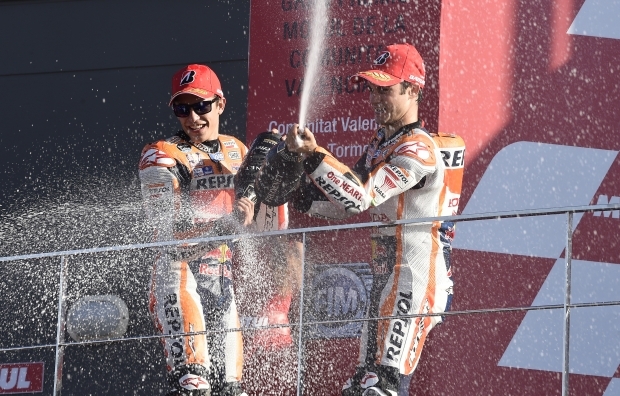 We are sorry that Valentino doesn’t believe this is the case, but we are certain both Marc and Dani were pushing 100% to achieve the best result for the Repsol Honda Team and all our partners as always. 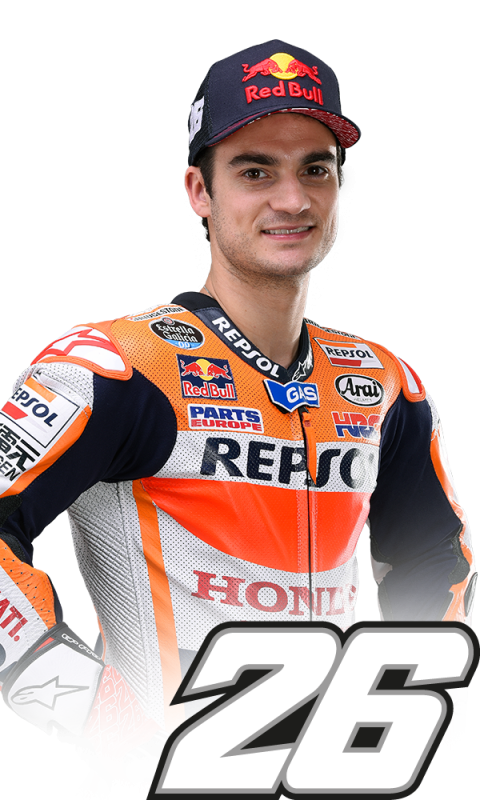 We cannot accept that these accusations continue to surface time after time, as this is the perception of one person - which we respect - but it is not the reality. 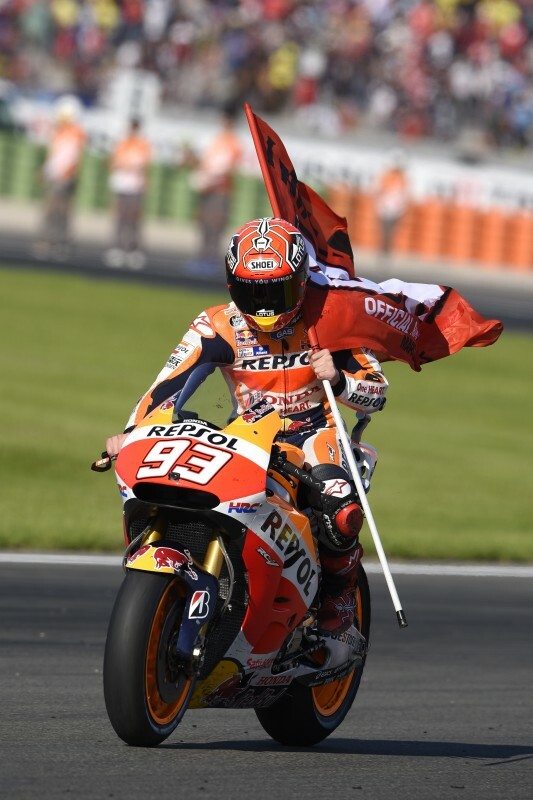 Valentino is a great champion and clearly an intelligent individual so we truly hope that in time, once the dust settles, he can reevaluate what has happened and accept this was another great race from a wonderful season, and it’s a shame to spoil it. 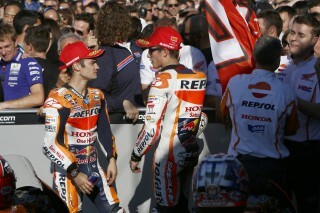 Marc and Dani have taken points away from both Valentino and Jorge this year, this is the nature of racing."